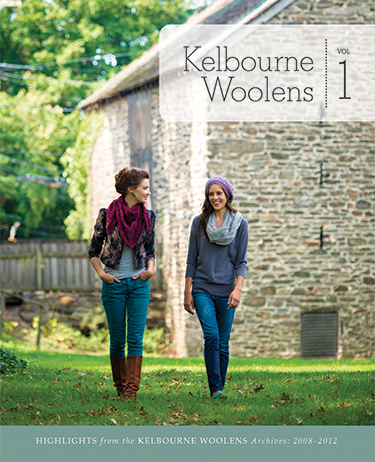 We love Kelbourne Woolens, the purveyors of beautiful Fibre Co. yarns and patterns. We were thrilled to be a part of their blog tour for their newly released book, Kelbourne Woolens: Volume 1. This gorgeously shot and styled book is a collection of some of their most popular designs of the past 5 years and we love them all! We were asked to style a design and we choose the "Winthrop" cardigan. 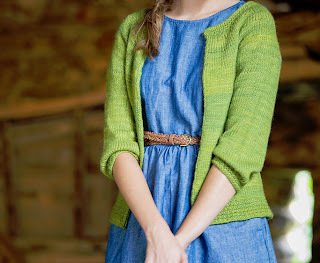 This cardigan, designed by Kate Osbourn, is knit in Organik or Road to China Worsted and features a lovely slip stitch pattern at the hems and neckline. 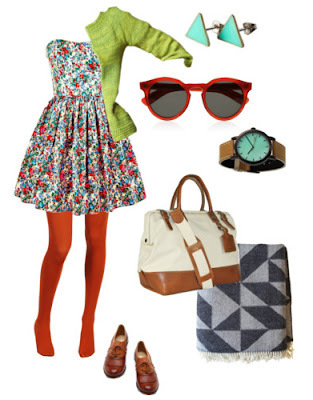 We used Polyvore for our styling - so fun! I choose to style my Winthrop for a spring-time bike ride adventure. A flirty floral tank and cream oxford heels are the perfect combo! Amber styled a picnic outfit complete with blanket and bag large enough for dishware and treats! Her cardigan looks adorable over a sleeveless dress and orange tights. Winner will be chosen at random and announced on Friday, March 8th. Best of luck! Be sure to check out Never Not Knitting tomorrow for the next stop of the blog tour and another chance to win! I love this collection. I would knit every piece. I love wearing jeans...so I would style it with jeans, cute knee high boots and a colorful scarf (knitted of course!). Thanks for the opportunity. I love this! I would wear it with a a spring dress with flats and a cute little belt! I have a nice wool skirt I barely wear - I can just imagine this with a thin tshirt underneath and boots! I would wear it with leggings and either a ruffly top, or a camisole and scarf. I would wear it also with jeans and a t shirt underneath. Perfect for the layered look. In my mind, I would wear this with a black sheath and heels, a skinny belt cinched around the cardigan at my waist and a beautiful silk scarf around my neck. In reality, I'd wear it with straight-legged jeans, my motorcycle boots and a lace-edged tank top. I love a cardigan with a geometric print t-shirt underneath. And some cool pinback buttons. 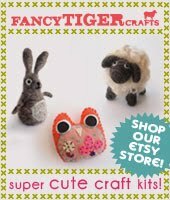 They make some of my favorite yarn! But the patters are always wonderful too. I'll definitely be getting this book. I would wear it with a pair of jeans and a sleeveless top under it. I would love to style it with a wiksten tank and some skinny capris. I'd style the cardigan on my daughter who is traveling around northern Argentina-with a backpack, well worn hiking shoes, and a big grin! Yours are adorable, but I would rock mine around the house with my yoga pants and slippers. I think every great sweater should work just as well while I'm cooking dinner/changing diapers/teaching math lessons to third graders as they do on a picnic. 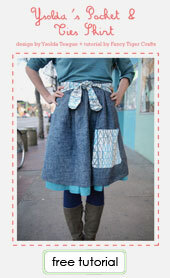 I would style it with a bike complete with a picnic basket, a belted dress and boot. With a vintage shirtwaist dress of course! Hmm I'm thinking skinny slacks and a turtleneck for an Audrey Hepburn look. Those styles make me excited for spring! Such a happy green sweater. Nice styling!! 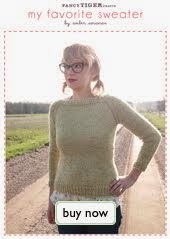 I loooovvvve Road to China light, so the thought of a sweater pattern for it is blowing my mind! I would add it to my favorite jeans and t-shirt combo. That would certainly let it steal the stage. I love the little details in Winthrop. I'm a boring jeans and t-shirt girl, but I would wear it with my blingy Wranglers. I just got a really cute shirt dress that looks like an oversized men's button up. I love the look of cardis over dress like that and a belt over top to cinch it all in and showcase a waistline. Love this collection. Thanks for the chance to win! I'd stlye it over a vintage dress with a large floral pattern. J'adore your styling! I definitely think a thrifted, boldly printed dress is one of the best parts of summer. 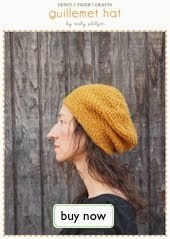 I have yet to use Organik, but the Canopy and Road to China families are amongst my favorite yarns ever! I do like the Winthrop cardi. I would put it over a light tshirt and then add a pair of jeans to the ensemble. I love the Wintrop cardi as it would look great with any summer dress! I would wear the cardigan with black pants and a black top to really make the sweater stand out. perhaps a purse or jewelry around the same color as the sweater as accent as well. I must wear this sweater while on vacation! It would be perfect for yarn-crawling around Europe. I would layer this with a classic white crew neck T and a pair of colorful, patterned leggings/jeans. And of course I would wear super comfy walking shoes and a cool cross-body satchel so that my hands were free for plenty of yarn fondling! Congratulations Samantha Krouse! You have won the signed copy of Kelbourne Woolens Vol. 1. We will be in touch for your address. Thank you everyone for commenting! Great ideas! I really need this kind of information. Love the way it was discuss. Thanks for sharing! very lovely posts.Thanks a lot. Thanks for sharing this lovely art, it has nice color combination, looks so pretty keep it up. What a pretty collection, actually i preferred this type of dresses to wear. I love this post & you have shared valid information to our vision.FITA is the right place to take sas training in Chennai, we are the professional training institute provides on the entire technical course with the wonderful job assurance. Nice. I like this dress.